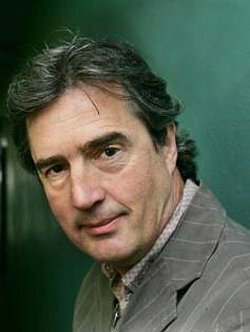 Dublin-born author Sebastian Barry has received high praise for his novels, poetry, and plays alike. The mastermind behind a repertoire of over 20 published works, Barry weaves together the onward flow of modern Irish history, allusions to family folktales, and colorful characters with graceful sympathy. His 2008 novel, The Secret Scripture, is no exception to this stylistic triad. A film adaptation of The Secret Scripture, starring Rooney Mara, Vanessa Redgrave, and Eric Bana, is slated for a 2016 release. It recently screened at the Toronto International Film Festival. The story centers around the elderly Roseanne McNulty, a long-time resident of the Roscommon Regional Mental Hospital, who faces the difficult reality of reintegration back into the society she has long left or the possibility of transferring to a new psychiatric hospital, the decision of which is to be decided by the chief psychiatrist, Dr. Grene. As Roseanne delves into a personal account of her placement within the turbulence of Ireland in the 1920s and 1930s, she discovers a new understanding of herself as well as the concerned Dr. Grene. The Ransom Center is home to Barry’s archive, which it acquired in 2001. In anticipation of the film’s release, we reached out to Barry for his thoughts about the film and the story. 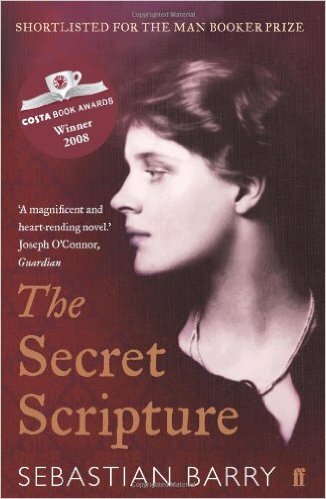 Can you tell us something about the process of how your book, The Secret Scripture, is being translated to film? Actually I have followed the alleged practise of Ernest Hemingway and given over the book wholly to the producers, scriptwriters etc. and kept out of it. I believe a book has to suffer a very important sea-change to have a good chance of making a decent film, and that is to be reimagined as if for the first time. So that the original book becomes a sort of rumour behind the finished film. However I followed the news of casting etc. with great interest. I was very content that the Irish director Jim Sheridan was to direct it and I understand he wrote his own screenplay out of a first draft written by the late Johnny Ferguson. This gives it the best chance of being truly Jim Sheridan’s The Secret Scripture, as it now must be. The film world in this regard reminds me of the French theatre. Where the director gets attached to the title. And a very good thing. What’s the writer got to do with it? Less than you’d imagine. Too much is made of writers. Now, actors, they’re the true gods. You based the character of Roseanne McNulty off of your great-uncle’s first wife and the family lore surrounding her, namely her memorable beauty and her eventual referral to an asylum. You once said it was your intention to “reclaim her and, indeed, remake her.” In The Secret Scripture, what aspects of her story were you attempting to reclaim and remake? The mere fact of her being in the world. Otherwise I knew no facts about her. I made her up but it is a slightly different thing when the person was once alive. She is forgotten so there was literally no other way to find her, except fictionally. That’s what a novel can do. It’s all crazy magic. The real woman is still very shadowy — although I was sent her real name after I published the book, or the name of a person who might have been her. Relatives were told that she had died of TB shortly after being committed, but this may have been a way to erase her twice. She was never mentioned by my family except the once, when my mother and I were driving in Sligo and she pointed out a ruined hut in Strandhill in Sligo, and she said “that’s where your woman was put.” I asked her what woman, and she said my uncle Pat’s first wife. His second wife I had known as a child and it intrigued and troubled me. It turned out even the children of the second marriage didn’t learn of this first wife till uncle Pat himself died. They were very surprised and hurt. The whole thing came into my head like an owl in a roof and stayed there resolutely signalling for years. She gave me the book in that sense. It is ironic that a book about someone who had no story or was not allowed one was read by at least a million people in thirty-seven languages. For heaven’s sake. That gave me great joy. If her story was an owl she is to me now of the magnitude of an Athena. A nurses’ lecture hall in Ireland has been named after her which is beautifully ironic since the name is invented. But she is the empress of absences. You’ve said before that “you can only meet yourself by writing it all down.” What do you mean by that? How have you been meeting yourself through your writing? I was thinking of the lines in Dante where he meets himself on the path through the forest coming back the other way. Otherwise I am thinking that without ancestry, even made-up ancestry, it is very hard to have a sense of yourself. I write to meet a simulacrum of myself on the path. It’s a strangely Irish impulse. We need to work harder at being properly at home as it were. Native peoples are much better at it, and we are all somewhat disadvantaged by our modern lives. In that regard we are all orphans, or semi-orphans (if that’s not a nonsense). Know thyself, say the philosophers. But how do you do it? And what bits of knowledge actually fit together to make a self? Most of my novels present a whole life — both the four gospels of an ordinary person, and the personal testimony that no one has witnessed or even asked for. Otherwise oblivion. Merciful maybe for all that. Everything we are falls through the gaps eventually. So you have to look into the gaps and fish back the souls.